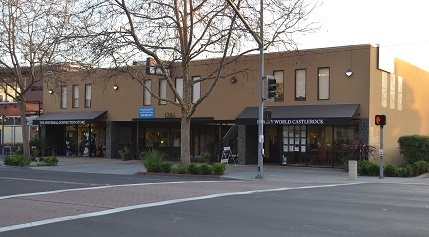 We are downtown in Willow Glen with easy parking and access. Take 101 South toward San JoseTake 85 South towards Cupertino/Santa CruzTake 280 South towards San JoseExit at Meridian Avenue southTurn Right onto Meridian AvenueTurn Left onto Willow StreetTurn Right onto Lincoln AvenueWe are on the right in downtown just after the Bank of AmericaEnter our own parking lot or the CVS parking lot if you miss our building. From the East Bay north:Take 880 South through San Jose to 280 SouthContinue on 280 South towards San Jose to Meridian AvenueExit the second ramp for Meridian Avenue southTurn Right onto Meridian AvenueTurn Left onto Willow StreetTurn Right onto Lincoln AvenueWe are on the right in downtown just after the Bank of AmericaEnter our own parking lot or the CVS parking lot if you miss our building. To access our parking lot, turn into the small driveway immediately south of the stoplight near the Bank of America building. The driveway is small but is two-way with pull-outs to accommodate two-way traffic. If you miss our driveway, you can still access our parking lot through the lot behind CVS Pharmacy. There is an opening in the chain-link fence between the two lots.